Genesis 5:21-24 says “and Enoch lived sixty-five years, and begot Methuselah. after he begot Methuselah, Enoch walked with God three hundred years, and had sons and daughters. So all the days of Enoch were three hundred and sixty-five years. And Enoch walked with God; and he was not, for God took him. "To walk with God" is the biblical expression for fellowship and obedience that results in His divine favor. The scripture says that Enoch developed a walk so close with God that he did not see death… but was transported into the very presence of God. Having a relationship with God is not about doing what is convenient...but being able to move in the same direction with God. 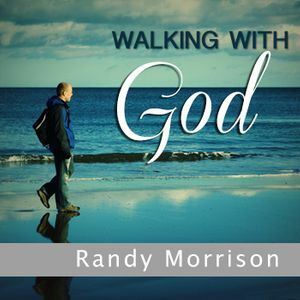 In this message, Pastor Randy Morrison discusses our relationship with God and how to walk with God like Enoch walked with God.